The River Ribble is a typical Yorkshire Dales river with a prolific population of brown trout, grayling and unusually for the Yorkshire Dales, salmon and sea trout. The River Ribble is also a very fertile river with good hatches of fly throughout the season. The River Ribble rises in Three Peaks country, near the very famous Ribblehead Viaduct, on the Settle to Carlisle Line. I fish the River Ribble in the area around Settle, a typical Yorkshire Dales market town, with a backdrop of high limestone cliffs and wooded, steep sided, hills. Here, in the western Yorkshire Dales, the river is quite small and a stealthy approach is often required. The trout and grayling can be quite big in the Ribble; at one time I had my personal best grayling of 2½lb from the river just above Settle and grayling well in excess of 3lb have been caught here. The River Ribble here is perfectly suited to fly fishing, with fast runs interspersed with long smooth glides where trout and grayling are often to be seen taking surface flies and just waiting to take your well presented dry fly. The River Ribble can rise very quickly following rainfall in the hills above, but it also drops quickly after a few days of dry weather. Downstream of Settle the River Ribble becomes slow and deep, certainly not suited to fly fishing and beyond this it flows out of the Yorkshire Dales and into Lancashire. Obviously the 'Yorkshiremen' of old knew a thing or two and kept the best for themselves when drawing up the county boundaries! Unlike all the 'main' Yorkshire Dales rivers, the River Ribble flows west to the Irish Sea (the others all flow east to the North Sea, via the Yorkshire Ouse). It is for this reason that the River Ribble enjoys a run of sea trout and salmon (the distance to the sea is much shorter going west), but our quarry is the brown trout and grayling. I leave the migratory fish to those that enjoy a day out fly casting! There is very little, if any, day ticket fishing on the upper River Ribble. All the better stretches are under the control of angling clubs who do not sell day tickets. 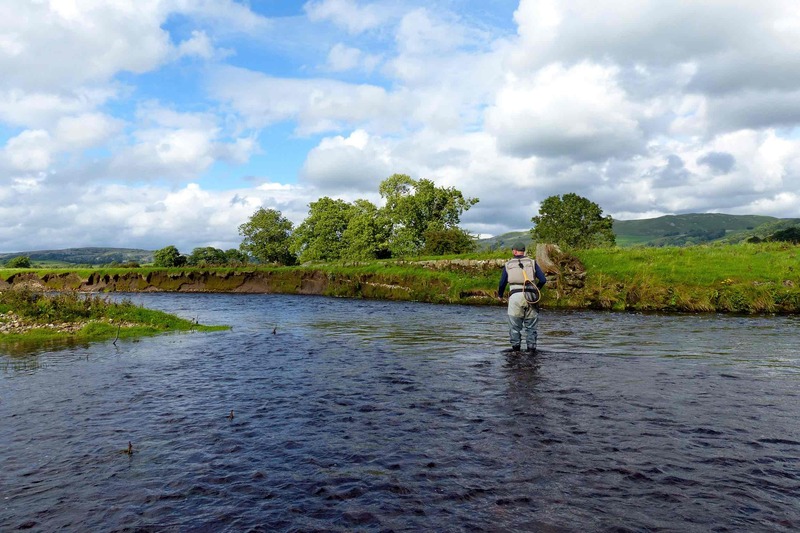 There are no day tickets on the River Ribble in the upper reaches, however, Settle Anglers' Association have reasonably priced membership available.